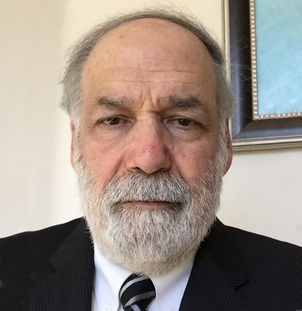 Neil A. Smith is an experienced dispute analyzer and resolver, now available for mediation, arbitration, private judging, discovery and special master service, and other forms of Alternative Dispute Resolution, in patent and other intellectual property and technology cases. Mr. Smith recently served as the first Administrative Patent Law Judge on the Patent Trial and Appeal Board (PTAB) for the new Silicon Valley Office of the Patent & Trademark Office. He is familiar with the PTAB, its post-grant and covered business method patent jurisdiction, and the intricacies of settlement and dispute resolution of these cases, often with parallel Federal Court litigation. Mr. Smith has served on the mediation and other panels of US District Court for the Northern District of California since the inception of the ADR program there several decades ago. He is currently on the Mediation Panel of the US Court of Appeals for the Federal Circuit, where early in his career he served as a law clerk to Judge Giles Rich on its predecessor court. He has served, or serves, on several other ADR panels, including for the International Trademark Association, and the World Intellectual Property Organization. Mr. Smith has been continuously named to “The List of the World’s Leading Technology Neutrals” by the Silicon Valley Arbitration and Medication Center. Neil is a prolific speaker and author, on intellectual property and alternative dispute resolution subjects. E.g. “Complex Patent Suits: The Use of Special Masters for Claim Construction” 2, Landslide 1, Oct. 2009 (American Bar Association), Forward and reviews: ADR Advocacy, Strategies, and Practices for Intellectual Property Cases, edited by Harrie Samaris, ABA Books 2011. Mr. Smith specializes in dispute resolution of patent, trademark, licensing and technology cases, in the federal courts and the Patent & Trademark Office’s Patent Trial & Appeal Board, upon which he served. Mr. Smith is also available to serve as a special or discovery master, expert witness, mock judge, or negotiator, to help parties resolve or handle their disputes or important cases in the courts. In addition to experience in dispute resolution, Mr. Smith is an experienced and recognized litigator, author, and teacher, on intellectual property and ADR subjects. He has been listed for over 25 years in Best Lawyer, listed in Chambers and Super Lawyers, and was named as IP Litigator of the Year by Managing Intellectual Property. Author of numerous articles on patent, trademark, copyright law, trade secret protection, ADR, and Internet law issues, including: “Complex Patent Suits: The Use of Special Masters for Claim Construction” 2, Landslide 1, Oct. 2009 (American Bar Association), “The Interface Between Antitrust Law and Trade Secret Law,” 3, The Corporate Analyst, No. 1, p. 134, Nov. 1990, “Fraud Upon the Patent Office as a Violation of the Sherman Antitrust Law,” 53 Journal of the Patent Office Society 337, 423; “The Collateral Estoppel Effect of a Prior Judgment of Patent Invalidity: Blonder-Tongue Revisited,” 55 Journal of the Patent Office Society 285, 363, 436, 1973; “Obtaining Early and Effective Relief Against Trademark Counterfeiting,” 10 COMM/ENT, Hastings College of the Law, No. 4, p. 1049, Summer 1988; author of Chapter 71 entitled “Discovery in Trademark Cases in the Courts and Trademark Trial and Appeal Board for Intellectual Property Counseling and Litigation; author of Chapter 10 entitled “Trademarks, Creation Protection and Valuation,” for The Trademark Law of the United States; author of quarterly column entitled” Ninth Circuit Report,” for “New Matter,” a Publication of the State Bar of California Intellectual Property Section and for ABA Litigation Section; contributing author to book, Risky Business: Protect Your Business from Being Stalked, Conned, or Blackmailed on the Web, by Daniel S. Janal, John Wiley Sons, Inc., 1998. Author, Chapter “New Strategies for Infringement Litigation” Recent Trends in Patent Infringement Lawsuits. Aspotore/Thomson, 2010; Editorial Advisory Board, IP Litigator, Editorial Advisory Board, Internet Law & Business. Speaker on several patent, trademark, unfair competition, privacy, and Internet law subjects to various bar associations, law schools, and IP/law organizations, including San Francisco Intellectual Property Law Association, San Francisco Barristers Club, the California, Colorado, Washington State, Ohio, Oregon and Utah State Bar Associations; Intellectual Property Associations in Los Angeles, San Diego, Pacific Northwest, and Canada; American Patent Institute, Patent Bar Review course; Practicing Law Institute; NITA; American Bar Association, Litigation Section, Science & Technology, IP, and Legal Education, Sections; US Copyright Society; American Intellectual Property Law Association; International Trademark Association; Computer Law Association; Licensing Executive Society; Law schools, including Hastings Law School, Stanford Law School, Golden Gate Law School, Berkeley Law School, Santa Clara Law School; American Conference Inst. ; Testified on the Draft Report of the United States Working Group on Intellectual Property Rights of the National Information Infrastructure Task Force, World Intellectual Property Organization; Officer and U.S. Reporter for ALAI. Served in the following capacities, among others: President, San Francisco Patent & Trademark Law Association; American Intellectual Property Law Association: Board of Directors, multiple Committee Chairs; American Bar Association, IPL Section: Chairman of several Divisions, and committees, including programs, education, and university IP, IPL Section delegate to ABA Special Committee on Legal Education, ABA RICO Committee; President, San Francisco Chapter, Licensing Executive Society; Member, Advisory Board of the Patent, Trademark and Copyright Journal of Bureau of National Affair (Bloomberg); State Bar of California: Executive Committee Member, Intellectual Property Section and Officer and Member of International Law Section, and State Bar Conference of Delegates; Member, U.S. Dept. of Commerce Public Advisory Committee on Trademark Office Affairs; Trustee, United States Copyright Society; Pres. Bay Area Intellectual Property Chapter, American Inns of Court. Appointed Intellectual Property Research Specialist, California Blue Ribbon Task Force on Nanotechnology. Mediation/Arbitration Panels of the US Federal Circuit Court of Appeals, US District Court Northern District of Ca., World Intellectual Property Organization, and International Trademark Association. Named for over twenty years in “The Best Lawyers In America” for Litigation and Patent Law representation. L.L.M. in Patent and Trade Regulation Law, George Washington Law School, 1973. J.D. Columbia Law School, Columbia University, 1969. Stone Scholar. B.S. in Mechanical Engineering, Columbia School of Engineering and Applied Science, Columbia University, 1966. Tau Beta Pi. B.A. in Physical Sciences, Columbia College, Columbia University, 1965.